The six restricted regions include Heilongjiang, Jilin and Gansu provinces, as well as Inner Mongolia, Ningxia Hui and Xinjiang Uygur autonomous regions. In these regions, new construction approvals and access to grid connections will be put on hold, according to an official statement published on NEA's official website Wednesday. The three-tier warning system distinguishes the risk levels by green, orange and red and the NEA releases the results annually. Large amounts of wind power were wasted in these regions last year, an industry analyst told the newspaper, adding that the NEA hopes to urge local governments to more actively solve the problem through administrative measures, which have active significance for the healthy development of the industry. 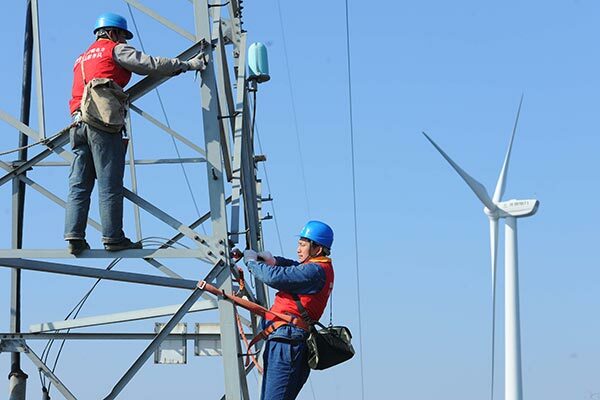 China had 149 million kilowatts of installed wind power capacity as of the end of 2016, with 19.3 million kilowatts added last year, according to the National Energy Administration (NEA). Wind power facilities generated 241 billion kilowatt hours of electricity in 2016, 4 percent of the country's total electricity production, compared with 3.3 percent in 2015.